Dr. Sternberg specializes in ankle ligament repairs and arthroscopy of the ankle. Ligamentous repairs involve stabilizing a weak ankle after chronic ankle sprains. Athroscopy involves using a camera that is inserted inside the ankle joint to diagnose joint conditions. Arthroscopy is an outpatient procedure performed using a small camera placed inside the ankle joint. Various instruments can be placed inside the joint while observed by the camera. Loose pieces of cartilage, defects, bone chips, inflammed joints linings, etc.. can all be addressed through 2-3 small incisions. 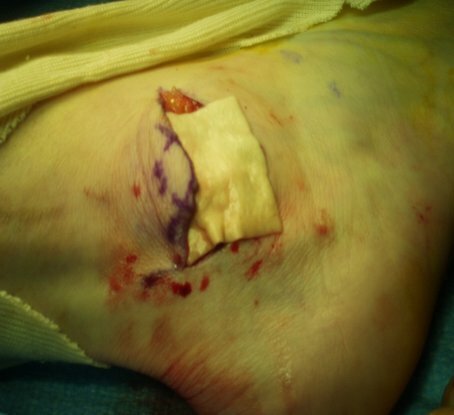 Ligament repair (Ankle stabilization) is performed on patients who continually spain their ankle. After numerous sprains, the ligaments become weakened and cannot support the normal body weight. 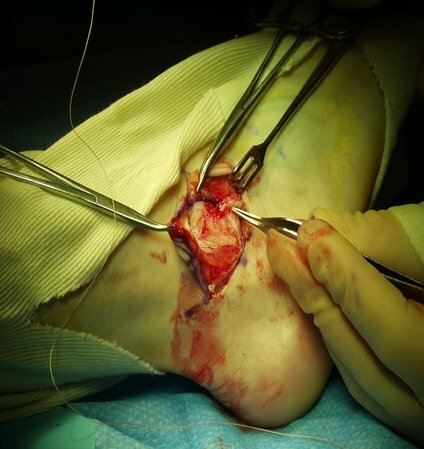 Surgery consists of reattaching the torn ligaments and then reinforcing the ligaments using the covering of the bone and synthetic ligament graft. The idea is to recreate strong ligaments in place of the weakened ones.